I devoured more books than normal this week, thanks to Dewey's 24 Hour Readathon! I'll probably write up some mini-reviews for those books later this week. I'd like to keep the nonfiction reading trend going for Nonfiction November. 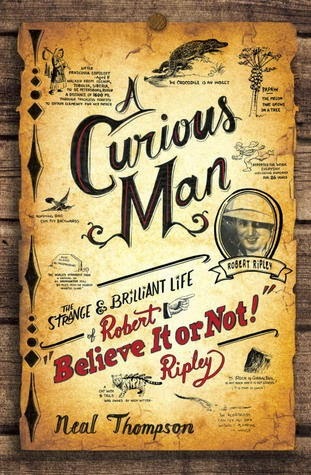 I bought a copy of A Curious Man in Florida last year. Perhaps I'll dive into that? No promises! 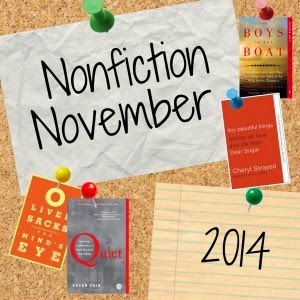 Nonfiction November is hosted by Sophisticated Dorkiness, Regular Rumination, and Doing Dewey. I'm a big nonfiction nerd and I cannot wait to get started! See any of those links for details on how to play along. I recently saw Gone Girl. Was it as good as the book? That's a silly question. It was, however, quite good. I'm no movie critic but it kept me on the edge of my seat, which is pretty great considering that I already knew what was going on. Part of that might have been the appeal of Ben Affleck? I've always had a soft spot for that boy. As yesterday was Dewey's 24 Hour Readathon today is book hangover day! I'm going to watch some football, eat some leftovers, and just veg out. Happy Sunday to one and all! I got 'cha. I'm going to watch football too, except my team is horrible. But, I need to take a break from reading and the computer. Thanks for telling us about Nonfiction November. I love nonfiction too. I may join. I'm pretty burnt out on words as well. The Readathon always leaves me feeling a bit of a book hangover ;) My team is having a good season...knock on wood! Woo, great weak! Gone Girl and a readathon?! Not too shabby. Congrats on the readathon!! I was surreptitiously watching your Instagram posts on food and was getting hungry. I even made chili yesterday. It wasn't as good as yours looked but it was still yummy. One of these years, I am going to be able to do the readathon, and I'm going to pull out all the stops! Looking forward to hearing your thoughts on The Underground Girls of Kabul...that sounds interesting! I can't wait for Nonfiction November! It's going to be great! We're announcing the readalong book this week. Girls in Kabul looks great! Speak was just outrageously good. I had some tears during that one. Love Speak! And I agree with you on Gone Girl - it was good.. but not as good as the book. I'm still working through the audiobook of Gone Girl. Unfortunately, it may take me 6 months. It's actually a pretty good audiobook--but definitely not for my kids' young ears. Thus, I can only listen to it when I can wear headphones (which is usually only at the gym, which I don't visit nearly enough) or after they go to bed, which isn't much earlier than when I go to bed. But, once I finish that, I'll definitely check out the movie! LOL, yeah, definitely not one for little ears. I hope it doesn't take you quite that long :) Maybe you'll be done by the time the movie comes out on DVD, lol! I am in the queue at the library for The Underground Girls of Kabul. It sounds like a great read! I think they did a darn fine job with it. My hubby liked it too! Oh, I bet Speak was great--I've heard so much about that book. 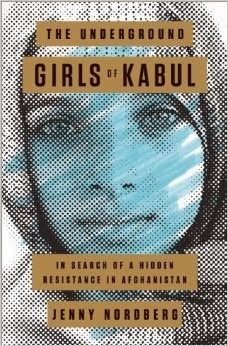 Maybe I need to think about doing Nonfiction November--and the Underground Girls of Kabul sounds good for it ! It really was. I can't recommend it enough. I thought they did an excellent job with Gone Girl. Of course the book is better, but I heard a lot of rumors and I'm so glad none of them were true! 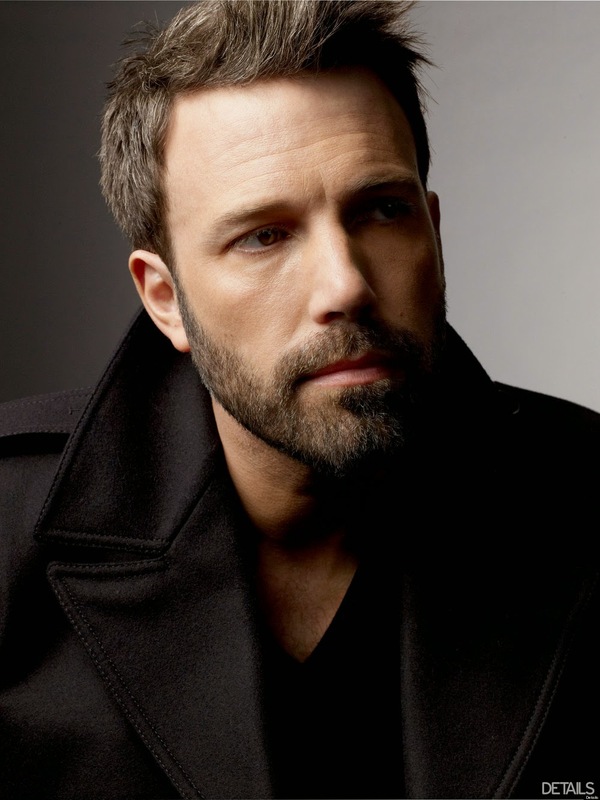 I also have a soft spot for Ben Affleck. Sigh. I'm excited about Nonfiction November! I think Gone Girl is going to be next on my list...maybe. I've always had a soft spot for Ben too! And he did an excellent job...we were on the edge of our seats and knew what was going on too! I know what you mean by book hangover. I slept almost the entire day Sunday. Isn't he just about the cutest? ;) I thought he did a great job too. These 2 books look quite interesting. I am really excited about seeing Gone Girl! I hope you like Gone Girl!